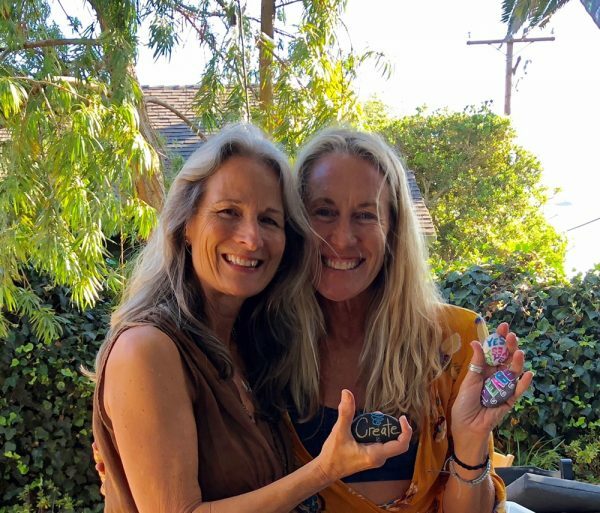 Laguna Beach poet Lisa Hughes Anderson and Kristien Thomas with kindness rocks painted at the July launch party. Francis was “overjoyed at the whimsical, sweet messages.” So much so that she contacted Suzanne Redfearn, one of Laguna’s literary laureates, to express her interest in starting a similar project in her hometown of 350 residents, Rockville, Utah, outside Zion National Park, which receives 4.3 million visitors annually. 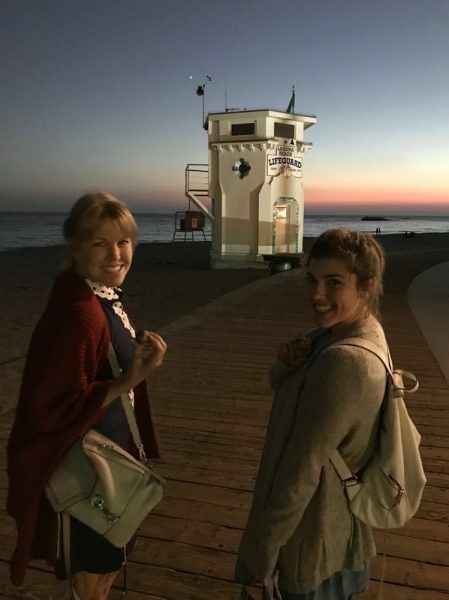 In honor of National Kindness Week, more than 20 Laguna Beach families went out stealthily into the evening on Monday, Aug. 27, to sprinkle over 2,200 kindness rocks throughout Laguna Beach. Laguna Beach poet Lisa Hughes Anderson initially discovered kindness rocks during her travels and wanted to bring the idea to Laguna Beach. The project was launched with a rock painting party in July. Each participating family brought a pile of rocks and paint pens home from the party to create their rocks of kindness. A word, a picture, a phrase—the idea was to spread creativity and kindness throughout the community and beyond. Each rock was tagged #RockOnLB so people could post their finds on social media and share the love with others.